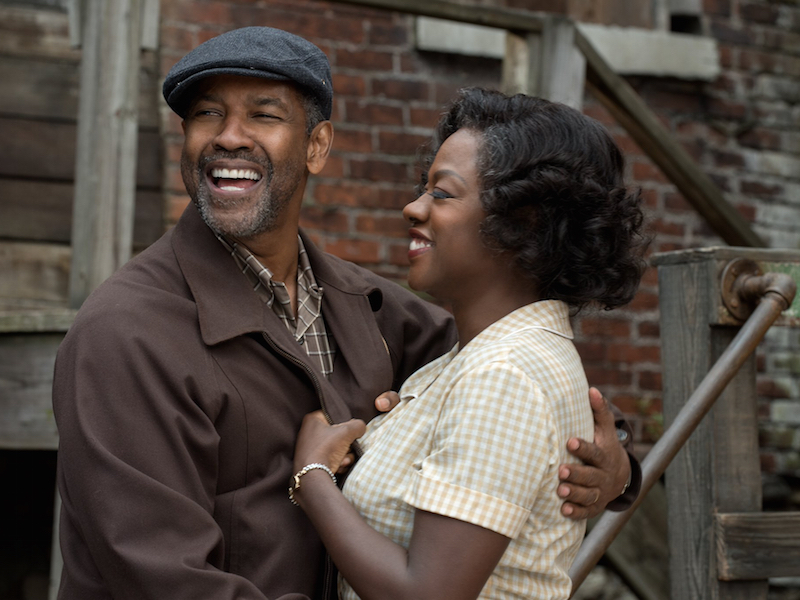 Denzel Washington and Viola Davis reprise their roles from the 2010 Broadway production of August Wilson’s Fences in this new film adaptation, which credits Wilson as its sole screenwriter and also features Washington for his third time in the director’s chair. With an economical use of locations and focus on long passages of dialogue with stage-ready blocking from its players, it’s clear from the first scene that this material was developed from a play and Washington doesn’t add too many stylistic flourishes that could give things a bit more flavor. Instead, he clearly trusts the strong writing from the source enough to let it speak for itself and that, along with some excellent performances, make this a worthy substitute for those who haven’t seen the theater version. Set in 1950s Pittsburgh, Fences follows the life of garbage collector and former baseball player Troy Maxson (Washington) as he works tirelessly to support his resilient wife Rose (Davis) and his determined teenaged son Cory (Jovan Adepo). Maxson is often visited at his house by his mentally challenged brother Gabe (Mykelti Williamson) and drinking buddy and oldest friend Bono (Stephen McKinley Henderson), who commiserates with him about the hard times and reminiscences on their old glory days playing ball. As we learn more about the details of Troy’s mired past, we also learn of a secret that he has been keeping from Rose which may threaten their marriage and their entire family as well. Though not often a likeable character, Maxson is a fascinating figure and Washington plays him with the kind of moral complexity that constants tests your allegiance to him as a protagonist. He has plenty of charm and charisma to get through the gate but reveals ugly degrees of selfishness and stubbornness that begin to paint him in a much less flattering light over time. Washington plays Troy as a man constantly at odds with his circumstances but ultimately as someone at odds with himself, trying desperately not to repeat the mistakes of his father before him but perhaps failing even harder as a result. As good as Washington is, Viola Davis is the biggest standout of this actor’s showcase in a performance that should land her a third Oscar nomination and hopefully her first win as well. As Troy’s long-suffering wife, she bravely wears the early triumphs and persistent failures of her life with him all on her world-weary face. In a spellbinding monologue towards the film’s conclusion, Davis wrings heartache from every single line as she reflects on the compromises that she made to be with Troy and dwells on the impact that he had on Cory as a less-than-ideal father figure. With a 2 hour and 20 minute run time, Fences can drag a bit during some sections and the lack of conventional “action” (most scenes are simply two or three characters sitting around and talking) may be a bit tedious for those expecting dramatic fireworks in every scene. As it’s mainly a meditation on fatherhood and failure, it can be emotionally bruising as a family drama but intellectually engaging as a character study of a man raging quietly against the world that he’s built for himself. To keep with the various baseball analogies used in the film, Fences may not be the grand slam that it could have been but at the very least, it’s a solid base hit.